For a leisurely trip to unwind amidst nature at its best or to experience the thrill of adventure sports or even experience the traditions and customs of the locals, Himachal is the perfect getaway. There is a special and unique setting where nature co-exists with the man-made, striking a perfect balance, each helping the other. Be a part of this experience and observe it from close quarters, enriching and entertaining yourself in the process. Treat yourself to the splendour of wildlife. The many wildlife sanctuaries and national parks amaze you to rare and exotic birds, animals, flowers, trees and an amazing array of fish that interest travellers from around the world. Take a trip to the Great Himalayan National Park, the Pin Valley National Park, the Gobind Sagar Wildlife Sanctuary, the Kalatop Khajjiar Sanctuary and many more for a glimpse of the ibex, the snow leopard and the Monal and absorb the beauty that surrounds you. Arm yourself with a pair of binoculars and go on a visual hunt for a variety of birds that traverse the Himalayan sky. Birding is a popular activity that has arrested and sparked the imagination of writers and painters alike. You don’t have to be one to enjoy the birds’ everyday chirping, as they go about their routine. It will be hours before you realize that time has passed as you enjoyed a peak into their enchanted lives. Head to Kasauli, Narkanda, Sangla, Sarahan, Nako, Kaza or Shoja for views of birds weaving nests to feeding their young ones, the birds keep you mesmerized with their antics. Enjoy from the various vantage bird-watching points located all over Himachal and feast your eyes on Fly-catchers, Western Tragopans, Humming Birds, Magpies and the many more. Himachal showcases it wildlife in its natural settings. At the many national parks and sanctuaries, a leopard that springs out from behind a rock, or preys in the wild or sips water along a stream is anytime worth spending more time on than one that is securely locked away. Try keeping your eyes on a deer as it runs to and fro or follow the fish as they swim in crystal clear waters. 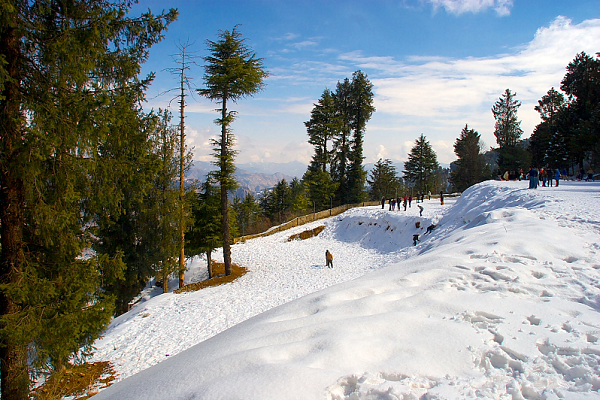 Travel along the umpteen nature trails and hikes to enter the heart of Himachal. Choose from the Beas Kund trek, the Triund Ridge-Laka Glacier trek, Bir Billing trek, Roop Kund Trek, Manali Hampta Pass herb trek, the Kinnar Kailash Trek etc. a seemingly inconspicuous opening into the wilderness opens up a world that is enigmatic and full of life. Wander off any road and be ready to be surprised by the twists and turns that lead to off-beat marvels. Aromatic herbs, colourful flowers and delicate ferns vie for space among the trees. There are special trails where you can pick strawberries or learn about the local flora. Trek to valleys that are in full bloom or waterfalls that call for memorable pictures. Follow the historical trails to Malana village (Kullu) or to the heritage village of Paragpur (Kangra). Discover the way of life of people in these regions and the architecture from olden days. Hike along ridges and scale slopes that will test your endurance and impress the enormity of nature upon you. There are treks that are suitable for cycling as well and can enable you to cover more distances and experience more of the wonderful landscapes. The best part of these activities is that they bring you closer to nature while maintaining its sanctity. These activities do not involve any destruction of nature and are in fact aimed at sensitizing tourists towards the importance of a balanced eco-system in our lives. There are as many adventure sports in Himachal as there are interests of tourists. There is always a perfect activity for your level of expertise, time and interest. From skiing and paragliding to angling to hot air ballooning, take your pick and be ready for an adventure filled ride like nowhere else. If being on land is not adventurous enough for you, try your hand at paragliding. At Solang valley, Bundla Dhar and Bir-Billing, fly like a bird by opting for paragliding. Bir-Billing is a premium place for paragliding, at par with the best around the world. Ride the air currents and learn to steer your way through fresh Himachal air. With a permit you can fish for freshwater fish in the rivers of Himachal. It does not affect the fish population adversely as it is regulated and you are not allowed to fish blindly. Angle for Trout and Mahaseer by the Beas, Giri, Yamuna or at the Maharana Pratap Sagar and the Gobind Sagar reservoirs. Nothing beat the idle soaking in the sun by the river side with friends and marine life for company. Ever imagined what it would be like to live life the Himachali way? Take advantage of the Home Stay scheme launched by the government and stay with a Himachal family. Many local families have opened up their homes and their hearts for tourists to introduce them to their lifestyle and give them a taste of their hospitality. Feel the warmth of a house built of clay, bricks and slate and get a chance to examine Himachali architecture closely. Match your steps with the locals to the rhythm of Dangi, Burah Nati and shunto dances. The reverberating beats of instruments accompanying the dances and the haunting songs are enough to get any one ready to dance. Wrap around a Kullu shawl in vibrant colours and beat the chilliest of winter days. Shop for silver jewellery and bamboo articles and take back memories that adorn your life. The rustic and colourful Chamba Rumal is a wonderful present for friends and a prized possession to brighten up your home. But learning how to embroider one, takes the experience to a whole new level. Doing so not just feels good but is also encouraging for the local artisans who have been earning a livelihood through traditional crafts. Himachal beckons tourists from India and abroad, of all ages and of varied interests. There are many who Travel to Himachal as it is the quintessential ‘dev bhoomi’. Religious tourism is another avenue that can be explored here. With people from all walks of life flocking here for divine blessings, it is indeed a popular destination. From Hadimba temple and Manu temple in Manali, the Jakhu temple in Shimla, Naina Devi temple, Jwala ji, Chamunda Devi, Baijnath temple and many more that draw devotees from far and wide. The Paonta Sahib Gurudwara, the Manikaran Gurudwara and the like are also visited by people from around the world. Not only does this act as a catalyst for achievement of spiritual and religious aspirations, it also encourages sharing of folk tales, traditional lore and mystical stories passed down verbally through the generations. Namaste India Trip is an award-winning Tours and Travels Company that promises nothing but the very best of travel packages to all its customers. As a values-based organization, our commitment to ensuring the promises we make are kept has forged many a long-term relationship with our clients – come as travelers, leave as friends!